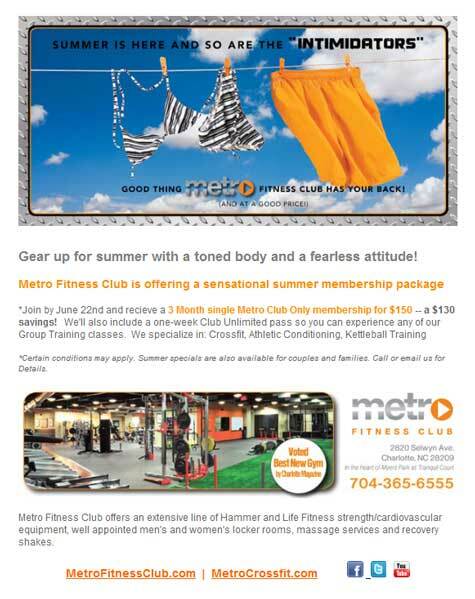 Metro Fitness Club, recently voted Best New Gym by Charlotte Magazine, has really great branding. On several occasions I have helped them use existing photos and graphics for email promotions. Last month, I converted images from recent postcard mailing to design a selectable-text HTML email to help them promote their summer special.